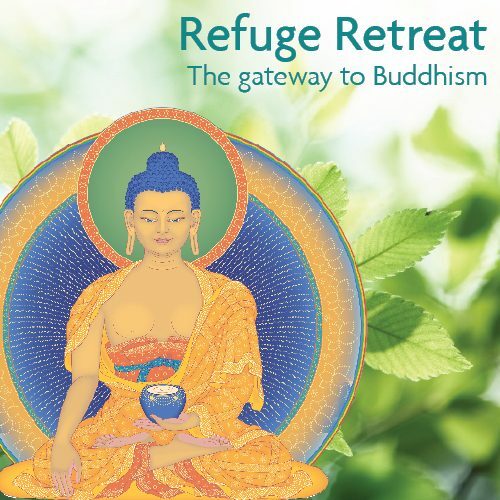 After the Spring International Kadampa Buddhist Festival in Cumbria, we will be hosting a retreat to explore the themes of the Festival in more detail. These retreats help those who attended the festival to deepen their meditative experience, and enable those who were not able to attend to benefit from a recap of the teachings. Gen Kelsang Dornying will be visiting from KMC Australia to guide this retreat on the Vajrasattva practice, a method to purify negative potentials and free ourselves from the burden of the past. Everyone is welcome, for the whole retreat or just a few sessions. Please note, the cost of materials is not included. You will be sent a list of what to bring with you when you book. To book the course, use the form above, email us or call 01604 743 976. Payments are non-refundable.